One of the palaces you must visit in London – if you like architecture and royal history – is Kensington Palace. The Historic Royal Palaces part of the palace is divided into three main sections: Victoria Revealed, the Queen’s State Apartments (Queen Mary II & William III), and the King’s State Apartments (King George II & Queen Caroline). This post will focus on what you can see in Victoria Revealed. This photo was taken in the summer of 2009 and the gates were open . I believe this had been the main tourist entrance before renovation? Another photo of KP from 2009. Queen Victoria was born on 24th May 1819 in Kensington Palace. Today, the room in which she was born, is more of a playroom and focuses on her nine children. When I first visited in 2009, her bedroom looked like a bedroom, complete with a bed and table. You can imagine my disappointment when I realised that I could no longer find anything that resembled a bedroom. 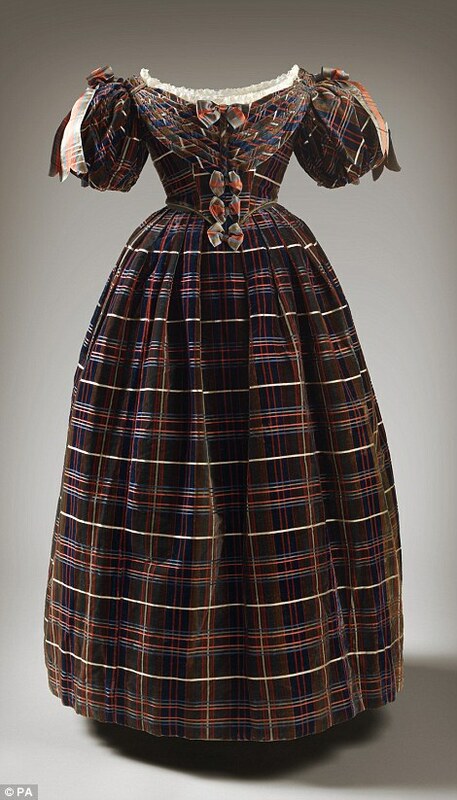 See a clearer photo of the dress from Daily Mail. What Queen V wore when she found out she was Queen? In one of the last few rooms, you’ll see the famous black dress worn by the queen in her later years. 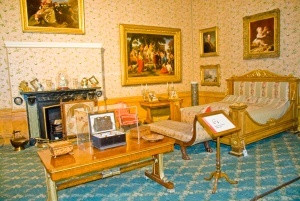 In the last room before you exit the Victoria apartment, you’ll also see some of the presents Prince Albert gave Victoria, such as a brooch with one of their children’s first baby tooth, and a 9-heart charm bracelet (for each of the babies she birthed). If you follow me on Instagram @ladyandtherose, you’ll see that I have posted many pictures of Queen Victoria. Most of the time, this would indicate that I must be a huge fan of hers. However, I have to say that she is not one of my favourite queens, and, I have mixed feelings about her. In one of the British schools I attended abroad, the other class in my year did a play on Queen Victoria. The young girl playing her was all dressed in black and looked extremely stern and intimidating. Another girl playing the maid kept calling her Madam. To this day, I still wince whenever I am called Madam (although I know it means ‘my lady’), as I associate it with old, stern, cold women. On the other hand, I left the school remembering Queen Victoria as a grandmotherly figure, though she had long left the world, 90+ years ago. I was naturally interested in Queen Victoria, and found her isolated princess turned powerful queen and empress incredibly fascinating and inspiring. At times, I think of her fondly and thank her for saving Canadians (more specifically, the British Columbians) from becoming Americans. The problem is, if your ancestors (or the land from where they came) suffered as a result of British colonialism during her reign, you can’t pretend that the decisions made during her reign have had no impact on the people or their descendants today. Yes, it is unfair to put all the blame on her and yes, times were different then (I’m sure that will be the same excuse for decisions made today in 50 years). Maybe I expected too much from her and of British civilisation. Victoria’s pink silk Ottoman embroidered jacket. This entry was posted in London and tagged Castles & Palaces, dress, historic buildings, museum, Queen Victoria, Royals.